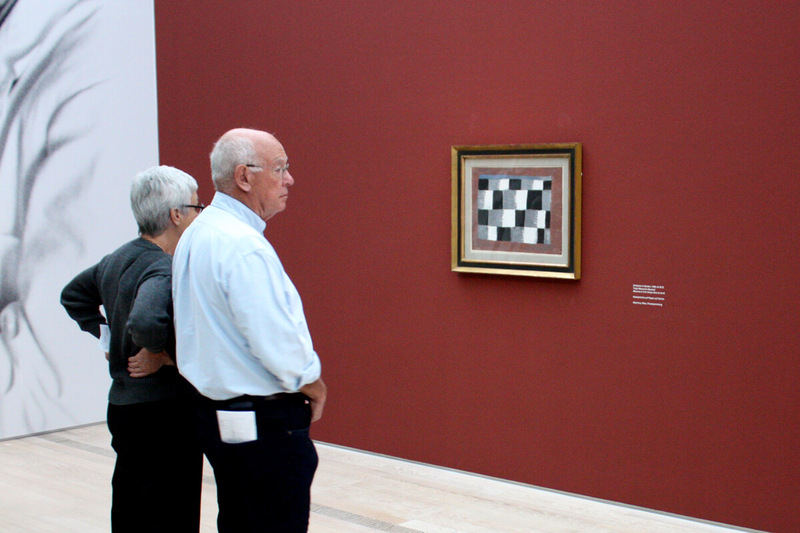 Fondation Beyeler is celebrating its 20th anniversary and is holding a series of events to honor its legacy. Located in Riehen, Basel, the foundation is host to a wonderful collection of world class exhibitions. 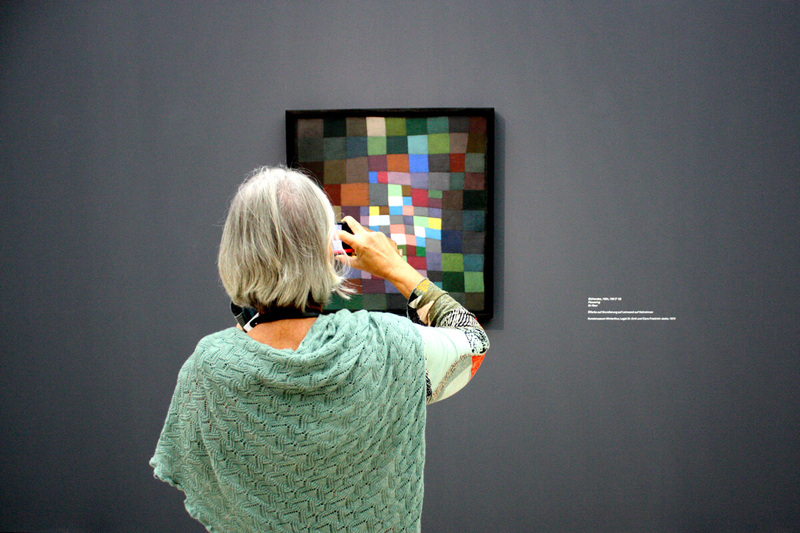 Invited to see its latest curation of the artworks of Paul Klee with our own eyes, we were transported through a life of color. 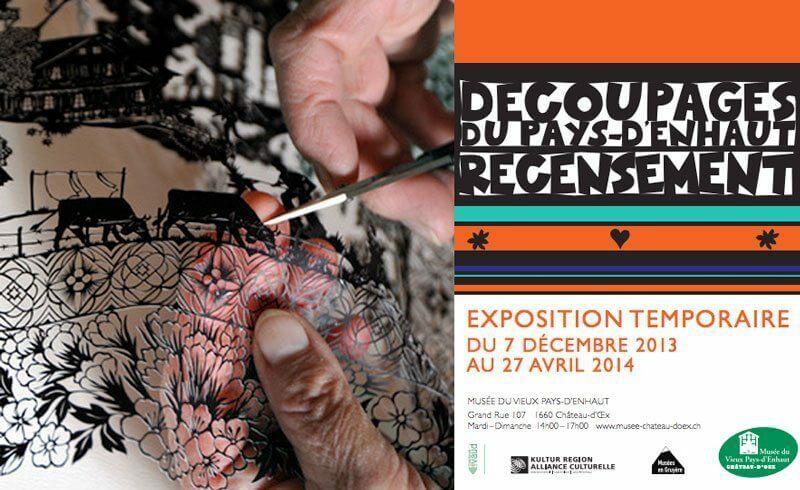 And we were left speechless by a second, hidden exhibition underneath the main museum. 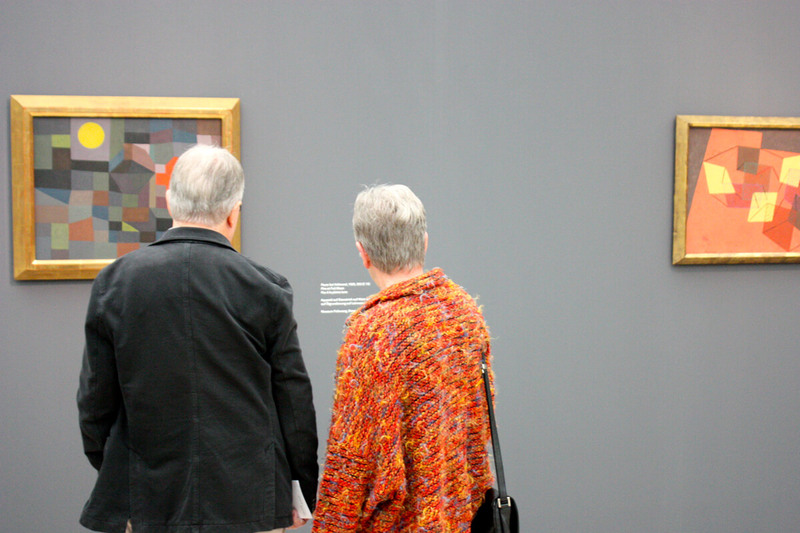 In my opinion, Fondation Beyeler is the perfect place to spend a day, no matter the weather conditions. Because the museum building and the grounds around it are in perfect harmony with one another. There is lots of nature that makes this place unique and relaxing. And what better a perfect place to house the artwork of Klee, whose artwork seems to link with the autumn scene in the gardens outside! 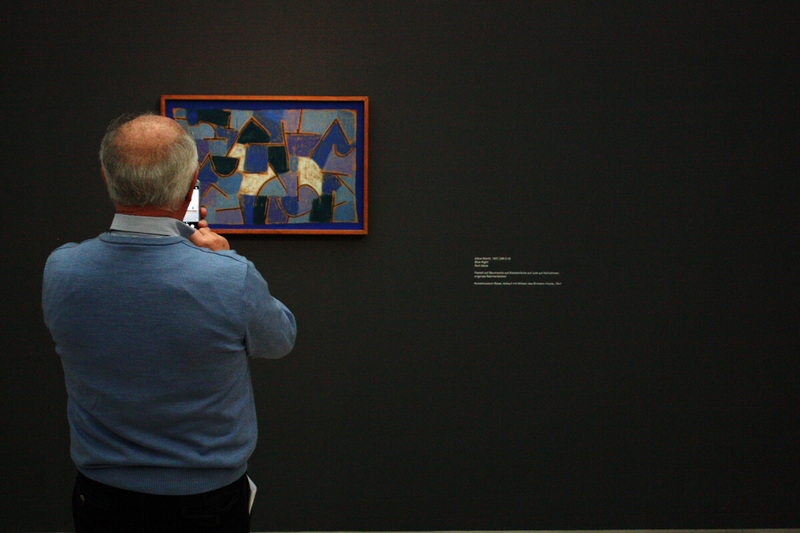 It looks like Paul Klee's "Ancient Harmony" found a match! For those of you who are less interested in abstractionism, there is plenty to discover through the "Cooperations" exhibition. It includes works of Cezanne, Picasso, and Van Gogh; surrealists Ernst, Magritte, Balthus and Miro; abstract expressionists Morris Louis and Willem de Kooning; as well as Roy Lichtenstein and Andy Warhol as key figures of Pop Art. It's where the world's master artists hang out. Apart from the exhibition, the museum has plenty to offer from some of the world's greatest artists. 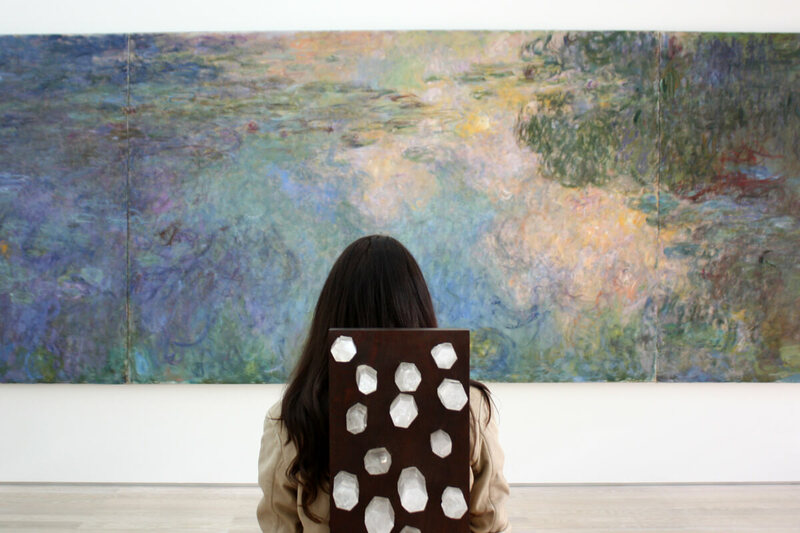 My personal favorite is the room with the artistic "dialogue" between Claude Monet and Marina Abramović who has created a special chair with crystals at the back, supposedly designed to help you collect energy and enjoy the artwork "Nympheas" by Monet. 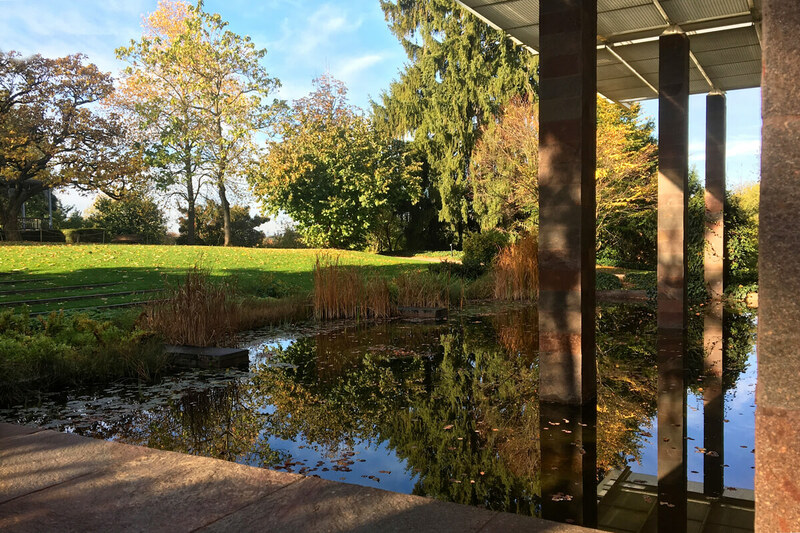 One of the interesting facts I have learned from the museum guide is that Mr. Beyeler had requested the pond outside of the building to be leveled with the floors inside. Initially, this was rendered impossible from architect's point of view. A solution was eventually found and it reflects Monet's painting perfectly. 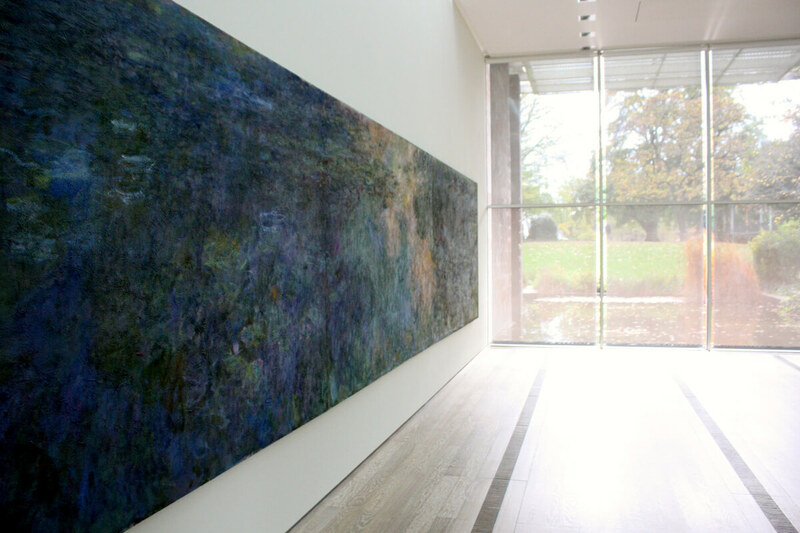 It makes you feel the mood and the atmosphere of those water lilies even more. 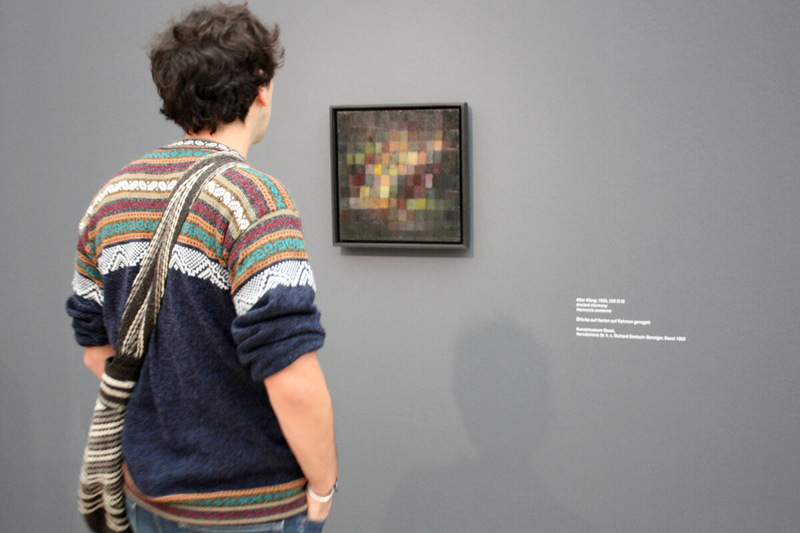 Take my word and visit the current exhibition at Fondation Beyeler. I also think that these special events in 2017 are quite interesting, so why not time your visit accordingly? Children's workshop (Nov 8 and Dec 13, 3 PM - 5:30 PM): Guided tour through Paul Klee exhibition, followed by lively workshop in the atelier for children aged 6 to 10.